Dental hygiene is the most important aspect for your oral health. You cannot dismiss or ignore the fact that having a consistent oral care improves how your smile looks. It is so simple and at the same time so frustrating how many patients do not care about their teeth. They can last and even months without brushing, flossing or even using a mouthwash. The two first activities are self-explanatory, but today let’s talk about how to use mouthwash. Many people understand that brushing and flossing clean their teeth. They may think this is enough to keep them healthy and beautiful but it is not. Others just rinse using tap water, and although it can help a bit, it is not optimal by any means. That is why I want to address on how to use mouthwash properly, so you do not make these mistakes and improve your smile’s looks and health. 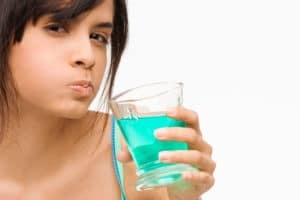 Mouthwash comes in many shapes, sizes and flavors, it can be daunting picking on if you are not used it to own one previously. It all start by getting the right one so your teeth looks and feels amazing. The first thing to take into account is the ADA Seal of Approval, which is important that the product has one to certified their quality in the market. Usually these products are safe to use and are amazing by themselves. Next in line we have flavors. It may sound trivial but remember that mouthwash also help to improve our breath. If you want a nice breath you have to rinse with the right mouthwash. Pick a classy flavor like mint if you want a balanced timeless good breath. You can pick a fruity but those are a little bit childish. Anyways, pick one that makes you use it every day, that is the most important thing on the matter. Always look for deals and offer on mouthwash and other dental products. One pro tip is to buy them in Los Algodones Mexico. There are many pharmacies in Los Algodones that have mouthwash at low prices, so it will be interesting if you can get those here. Just keep in mind to apply our suggestion to pick the right mouthwash for you. This is surprisingly a common question I get from patients. You want to use you are done brushing and flossing your teeth. These 3 items are meant to be used together and not separately. This means that you want to rinse your mouth at least twice a day. Remember to always follow the instructions, not using too much and never swallow the mouth wash. You want to keep the liquid in your mouth for at least 30 seconds before spitting it into the sink. Now, there is a debate that says that it is bad to rinse your mouth with mouthwash before going to bed. That the alcohol present as ingredient in most of these products is bad for your oral health. This is true most of the part, so you have to consider getting a mouthwash without alcohol. Many companies are aware of this and the have mouth wash without alcohol out there in the market. That is it for today, hope you have an amazing weekend and take care!